American Academy of Pediatrics calls for stronger U.S. safety measures toward chemicals used for food taste, processing, packaging. Pre-made meals in microwaveable containers are among the food items identified as risky. 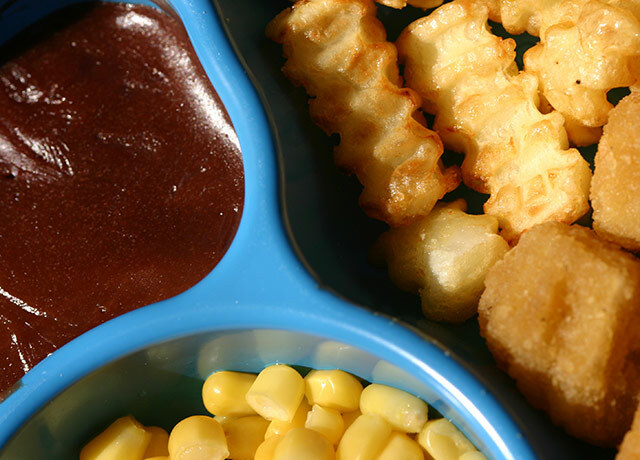 With growing evidence that chemicals in food colorings, preservatives, and packaging can interfere with children's growth and development, the American Academy of Pediatrics today said reforms are urgently needed to the U.S. food regulatory process. Its statement and technical report were published in the journal Pediatrics. The United States allows the use of more than 10,000 additives to modify foods' taste, appearance, texture or nutrients -- or which are involved in their packaging and processing, such as plastic, glues, dyes, paper, cardboard and coatings. Many chemicals were grandfathered in for approval during the 1950s, and roughly 1,000 additives are used under a “Generally Recognized as Safe” designation that does not require U.S. Food and Drug Administration (FDA) approval. Dr. Sheela Sathyanarayana, a UW Medicine pediatrician and co-author of today's report, discusses the risks of food additives. "The current regulatory process does not adequately protect children's health from these chemicals," said Dr. Sheela Sathyanarayana, a UW Medicine pediatrician and environmental scientist at the University of Washington (UW) School of Public Health. "Bisphenol A and phthalates are known endocrine-disrupting chemicals, and we've learned that early life exposures can affect later-life health outcomes." Sathyanarayana and Rachel Shaffer, a UW Ph.D. student in environmental toxicology, co-authored today's report with Dr. Leonardo Trasande, a New York University expert on children's environmental health. Nitrates / nitrites are used to preserve food and enhance color, especially in cured and processed meats. These chemicals can interfere with thyroid hormone production and the blood's ability to deliver oxygen in the body. Nitrates and nitrites also have been linked with gastrointestinal and nervous system cancers.